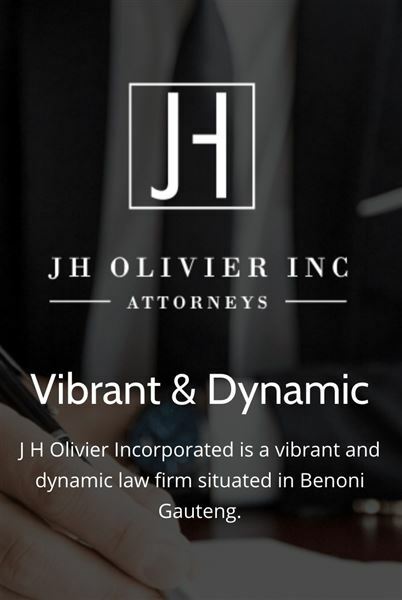 JH Olivier Inc Attorneys is a dynamic law firm situated in Benoni Gauteng. We offer a variety of legal services to all our clients' specific needs. We handle each matter, big or small, with the greatest attention to detail.